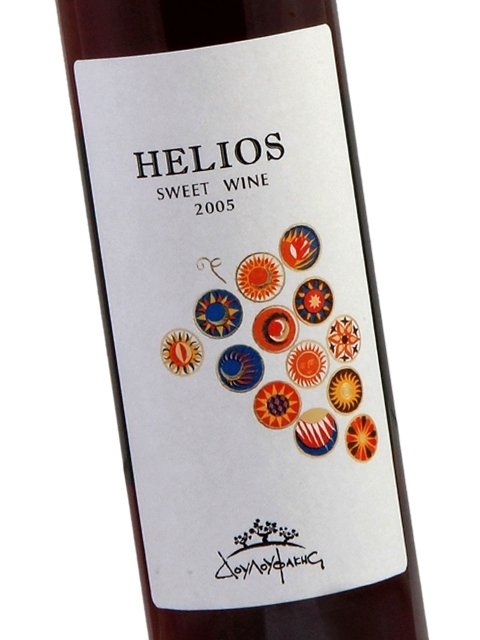 Helios is a high quality sweet red wine from the 2005 harvest. The grapes were sun-dried for ten days and the wine was placed in old oak barrels to age for five years. The result is an impressive wine with excellent complexity: quince paste, honey, caramelized dry fruit, raisins, dried figs, wax, caramel, smoke, cedar, mocha, bitter almond and orange peel. 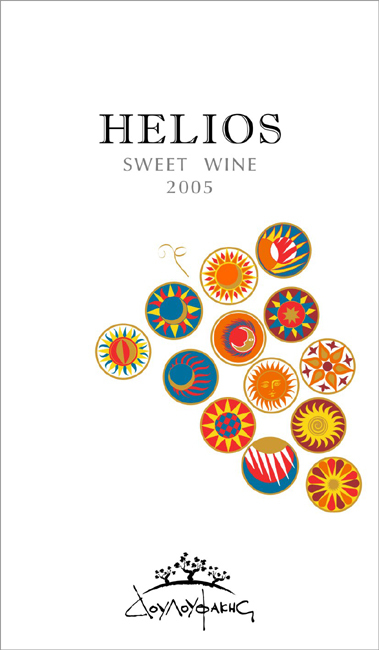 Helios is made from the Liatiko variety. It can be perfectly paired with most chocolate-based desserts: chocolate soufflé, fudge brownies, bitter chocolate mousse, espresso chocolate pie and many more. 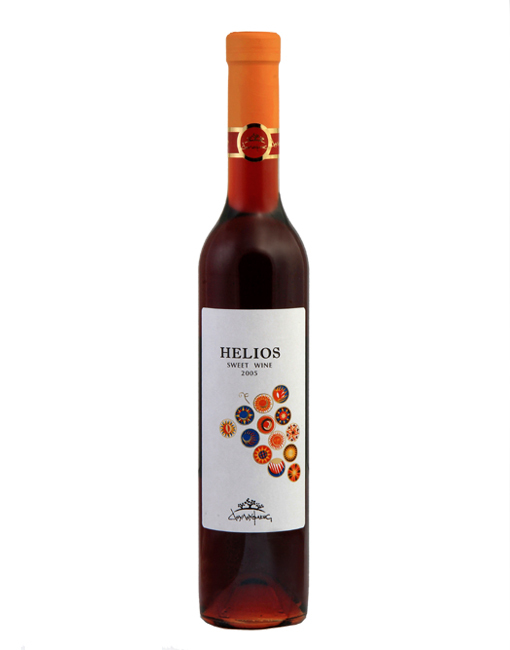 A dessert wine from the Cretan Douloufakis Winery, which can lift the dining experience in any restaurant to new heights. Sweet, medium (+) acidity, medium tannins, medium (+) alcohol, medium (+) body. Pronounced flavor intensity with flavor characteristics reminiscent of honeycomb, quince paste, caramel, raisins, plum, toffee, wax, orange peel and dry nuts. Medium (+) finish.